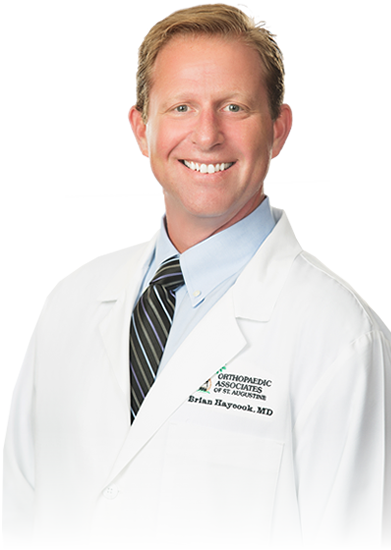 Dr. Haycook is a graduate of the University of Florida and the University of Miami School of Medicine. He completed his Spine Fellowship at Methodist Hospital in Indianapolis, Indiana. Dr. Haycook is Board Certified by the American Board of Orthopaedic Surgery. He has specific expertise and training in the latest treatment of scoliosis, spinal deformities and spine related injuries. Dr. Haycook is proud to be one of the only orthopaedic physicians in the area offering minimally invasive spine fusion surgery to his patients. I bless you every day for the change you brought to my life. When I came to your office I was barely walking with a cane and after a back fusion I am now walking perfectly. My mobility is back to normal and so is my life. What an incredible transformation. I can’t thank you enough.